One would be naïve to believe, at least as evidenced in these three plays, that Bontempelli did not perceive a modern crisis of the female oracular power as the crux around which any new myth could be born. I think this sidesteps or ignores the evidence of a strictly objective reading of these three fascinating plays. 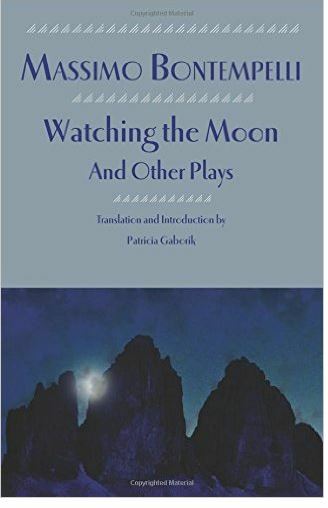 Bontempelli’s concern I think is less with, as Gaborik puts it, the author’s “aesthetization of fascism,”, but dramatizing the crisis of women in particular whose oracular voice has been lost and discounted as a crucial force behind society’s ultimate cohesion. I think any future critical work on Bontempelli would benefit from taking a less linear approach in order to understand the deeper metaphysical implications of his style and thematic concerns. To this extent, any socio/political interpretation obscures the true imaginative context of Bontempelli’s goals and accomplishments as a writer and dramatist. Thomas Sanfilip is a poet and writer whose work has appeared in the Shore Poetry Anthology, Thalassa, Ivory Tower, Nit & Wit, Tomorrow, Ginosko Literary Journal, Maudlin House, Feile-Festa, and Per Contra. Five collections of poetry have been published — By the Hours and the Years (Branden Press, 1974), Myth/A Poem (Iliad Press, 2002), The Art of Anguish (2004), Last Poems (2007), Figures of the Muse (2012), in addition to a collection of short fiction, The Killing Sun (2006). Poetry in the Age of Impurity, a collection of published and unpublished essays, was published in 2013 by Bigio Morato. Presently he lives in the Chicago area and has written for a variety of other publications, including Rattle, The Literary Yard, Book Page, Rain Taxi, Letter Ex, Filmfax, Film Quarterly, Film Score Monthly, The Journal of Popular Film and Television, and the Walt Whitman Encyclopedia.